This is a round Western Farms porcelain sign. This particular Western Farms sign is predominantly orange and green. 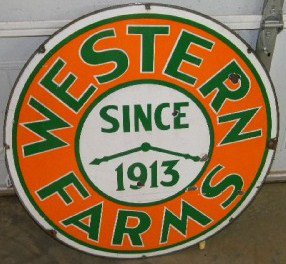 It reads, “Western Farms, Since 1913” and features green hour and minute clock hands in the center of the sign.